"Hey, Dog Breath!" 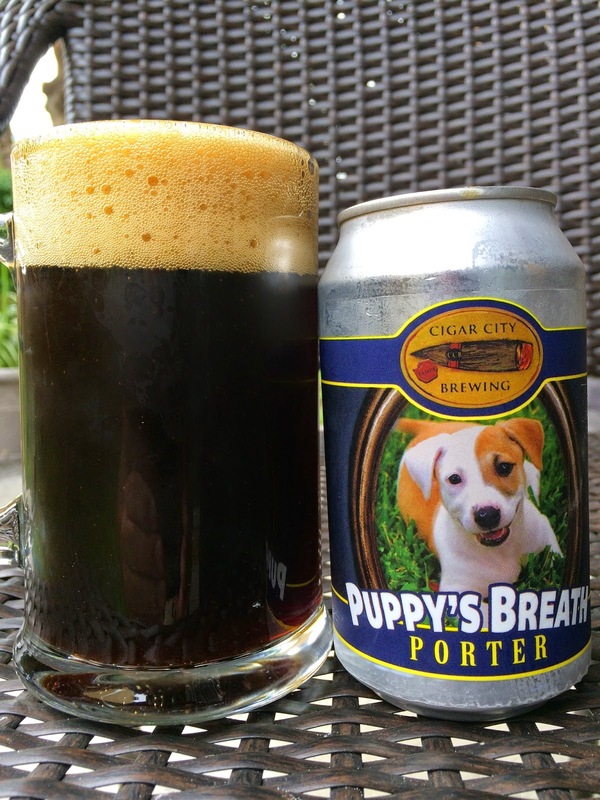 would be quite the insult, but according to Cigar City Brewing, Puppy's Breath Porter is quite a complimentary name for their beer. The back of the can goes on to explain that because puppies have immature digestive systems and a simple diet, their breath can sometimes smell like chocolate or coffee. The cute "Spokespuppy" on this 2014 can is Henrietta. 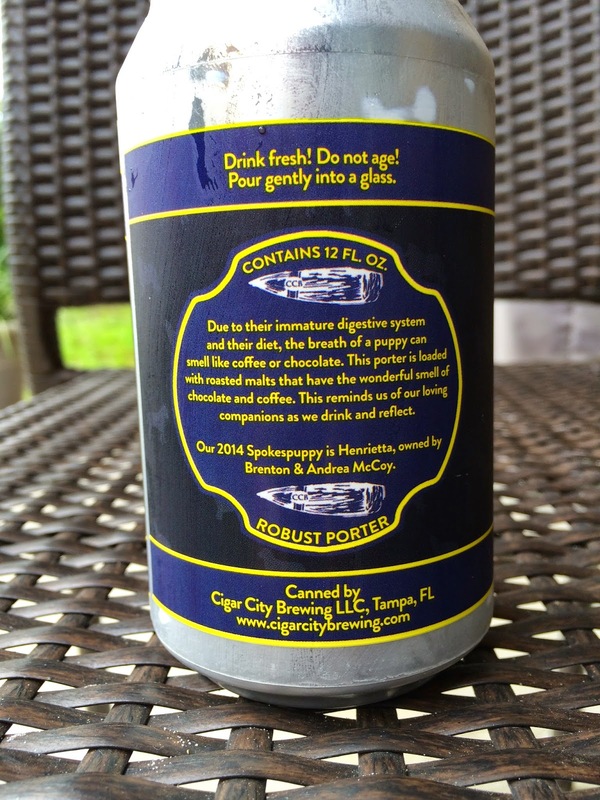 Canned 08/07/2014. Great roasty aroma, nutty with light coffee and milk chocolate. Bold roasted flavors are joined by a milk chocolate sweetness in the beginning. Coffee bitterness and some nutty flavors come next. Excellent creamy texture, on the low-carbonated side, but fine. Body is barely medium. More of that roasted malt lingers at the finish. Simple but very nice beer. almost two weeks with no update. you ok? i wanna read about some more beer. Man, I hear that, total slacker. I'll be back again pretty soon. I even have a few drafts ready, just no time past few weeks. Between slave gardening project, baseball, work and travel... no excuses though, you're right!